huntsville | WRITE, BABY, WRITE: You can do it! “Wake up, Honey, I got you something.” Words every wife loves to hear in the morning from her husband. I stumble to the spare bedroom to see my surprise. What could it be? I’ve been hinting for a cryptomeria-my new favorite tree which grows 30 ft. tall, surely not inside the house though. It is so sweet! Visit the site and tell me what you think. A blog with content is in the works, but I can’t figure out how to write and garden at the same time yet. I do talk to my plants… All the pictures are from our backyard. 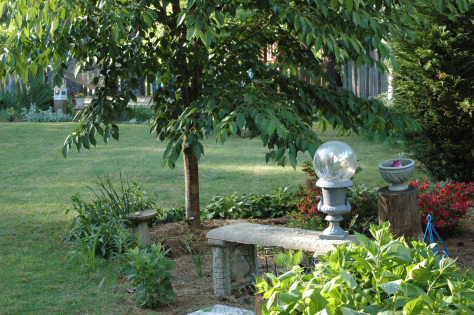 Hopefully I’ll soon have pictures of my customers’ backyards. Turning something I love into a specialized gardening business and having a cute website to boot, what more could I ask for? (Maybe a cryptomeria). March Madness makes me think of basketball and my alma mater, Murray State. It also makes me think of tornadoes. I’ll never forget cleaning up after an F4 tornado hit my friend’s house on April 27, 2011. Laura and her family survived the direct hit while riding out the storm in their basement. However, the rest of the house didn’t fare so well. As I pulled into her driveway, the trees were a dead-giveaway, or what was left of them anyway. Most were beheaded, snapped like matchsticks. The ones left standing were naked. The pressure from the tornado exploded the bark and left the trees to die a slow death. Laura had mentioned the pressure during the tornado too. During the storm, her children had held their ears in pain while Laura checked hers for bleeding-the intensity was that bad. The house appeared to be intact from the road, but upon a closer look, the gap between the garage and the house was askew with a giant, vertical crack running the length of the two-story home. The tornado literally split the house in two. But still, Laura’s family was alive. Others, just down the road, didn’t survive. And her home, well, you could still decipher that it was a house. It would mean six months in a hotel, but at least it wasn’t wiped clean from its foundation as others in the area were. Her neighbor’s home was one of those that went MIA. The only thing left standing in the field was what appeared to be a refrigerator, but was actually the storm shelter which saved her neighbor’s life. Laura and her husband found the neighbor inside of it, pinned inside by a massive Doppler radar ball. The radar was the one mounted on the highway stand, a half mile away. It looked much bigger on the ground as it barred the door to the storm shelter. And it felt much bigger when they pushed it a few feet to rescue their neighbor. Despite the demolition, there always seems to be something quirky in the midst of the debris that pulls through a violent tornado. I noticed a familiar Styrofoam cup on the outside of Laura’s windowsill. Inside the cup was a new planting of a tomato which we received from our Master Gardener class, the week before the tornado. While multiple tempests destroyed miles and miles of Alabama, the little Styrofoam cup did not budge from the outer window ledge. Weird, huh? The mighty oaks were no more, but Laura could still look forward to fried green tomatoes. It’s getting to be that time of year again-for tornadoes, not tomatoes. If I sound flippant, it’s just me getting nervous. 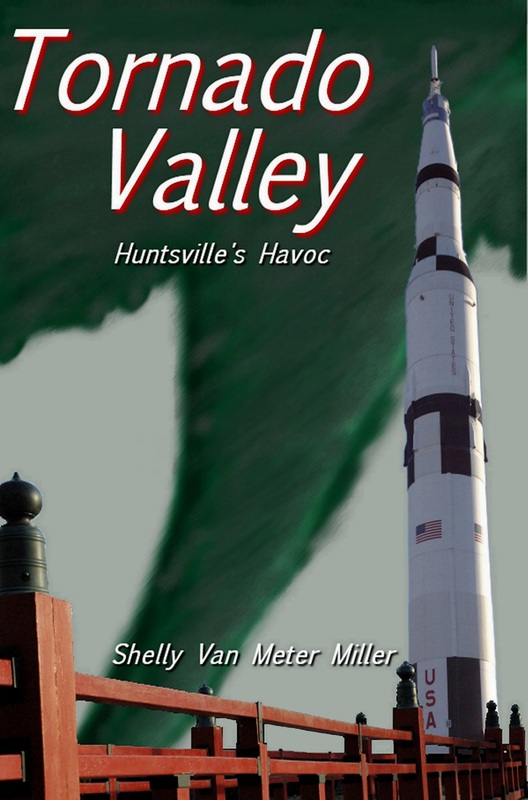 While researching for Tornado Valley: Huntsville’s Havoc , I heard many storm accounts and personal stories. My heart beat faster as I listened and cried along with the victims, but even had a few laughs over bizarre experiences. I compiled them into a book, not to relive the moments, but to learn from those who lived through them. The tornado stories continue to fascinate me. I’d like to hear yours if you have any to share. shelly@tornadovalley.net.